UltraVNC for Windows 10 - a functional utility designed to remotely control another computer via the Internet or local network. The connection process is very simple and does not take much time. The software has an intuitive user interface and high performance. With this application, the user gets the opportunity to work on a PC at a distance, with his keyboard and mouse. You can delete, edit, create files and folders. In addition, it is possible to transfer files between machines and communicate via text chat. 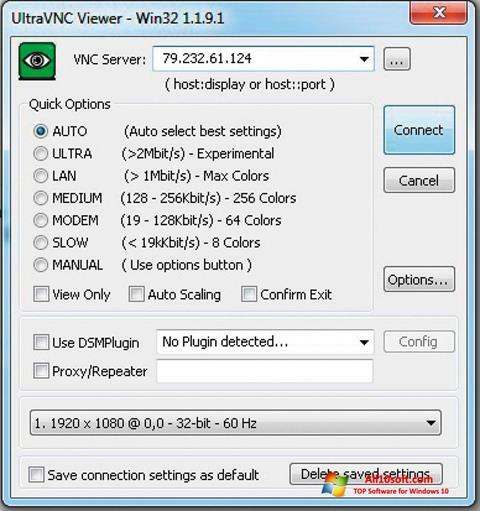 You can free download UltraVNC official latest version for Windows 10 in English.